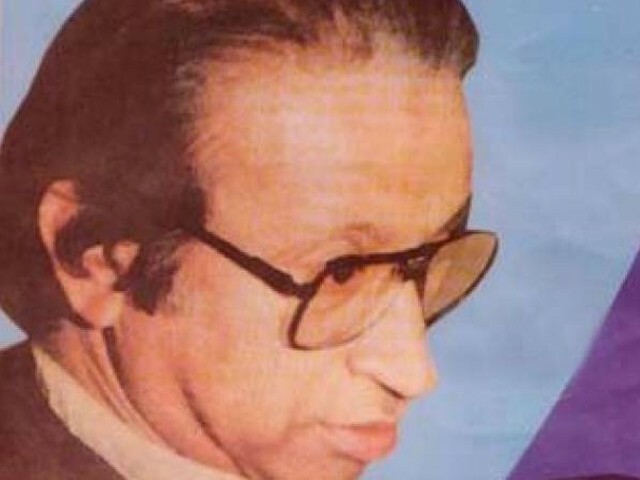 Ata Shad made his appearance in the world with Balochi literature in the early 50s and soon outshined contemporaries. PHOTO: BALOCHISTAN TIMES. A few days after his death, I came across the news in an old newspaper: “Renowned poet and writer Atta Shad passed away last night”. It was not news for me. Anyone could die, so did Shad. I didn’t even bother to read the news piece in detail and instead put the newspaper aside. At that time, I was a teenager and had recently developed a taste for poetry. And if you expect Shad to strike the chord of a teenager, you would be terribly wrong. And if somehow a teenager did manage to read his poetry, his words would disappoint you, as they did me. Those were the early days when I had fallen in love with Dagh Dehlvi, the last of classical poets from the Delhi School of Urdu poetry. For me, there was no greater poet other than Dehlvi. Simply put, no other poet had so lucidly elaborated the sentiments brewing inside a teenager like me. Such couplets would easily lure me into an imaginary world full of love and romance, a world every teenager wishes to seek refuge in. Not only did I read and cherish Dehlvi’s poetry, I would also frequently read it out to my friends and recommend them to read some of it too. For a few years, Dehlvi remained my companion. His couplets resonated in my mind, danced on my lips and a selection of his poetry had always been on my bedside. When I came across Shad’s ghazals and verses, as a teenager, he couldn’t offer me what I was expecting of him. Despite the language being my mother tongue, his Balochi was not similar to the language we spoke at home. Rather, the language seemed undecipherable as if it was inscriptions on clay tablets recently unearthed from an archaeological site. His thoughts and reflections were yet another enigma. He had nothing to do with the sentiments of a teenager; it was as if he had never passed through that sizzling phase of life. Whenever I tried to read his work, it would make me queasy more than anything else, even more than mathematics did. Thus, I stopped reading his work. When I started college, I began to read Ghalib along with Dehlvi, and it turned out to be a turning point in my life. Ghalib not only broke me away from Dehlvi, but surprisingly made me reconsider giving Shad another read. What fascinated me were Ghalib’s unique style and his poetic, in-depth analysis of life and universe. Ironically, I had discarded Shad for the very reason that now made me cherish Ghalib. Thus, I switched back to Shad and was soon enchanted by his poetry, to such an extent that I never turned back to Dehlvi. Dehlvi’s sensuous couplets were replaced by Shad’s multi-layered couplets. And in this dust-enshrouded universe, I seek a crowd to mourn the death of light. May life remain eternal! May there be no death and doom! Born as Mohammad Ishaq to a carpenter family in November 1939 at Singani Sar Turbat, Shad left indelible imprints on modern Balochi poetry. He made his appearance in the world with Balochi literature in the early 50s and soon outshone contemporaries. Shad shunned away all hackneyed themes, modes of expression and commonplace metaphors his peers encompassed in their poetry. He, thus, went on to create his own aurora in modern Balochi literature. He amazed his readers and peers alike with his fresh diction, metaphors and similes. He assigned a new orientation to Balochi literature at a critical time when Persian and Urdu had cast off their thick shadows on modern Balochi poetry. Shad’s modernity is not a derivative of modernism from the contemporary Urdu poetry of the 1960s, expounded by the likes of Iftikhar Jalib, Safdar Mir and Anis Nagi to name a few here who attempted to restructure Urdu poetry. Nor did he drift away from the poetics of classical poetry. Rather he built the edifice of his work on the very foundation of traditional compositions. Instead of articulating fresh ideas in plain and simple language, Shad opted for a rather intricate and somewhat ambiguous language comprising words from all major dialects of language. Before Shad, no poet had ever ventured to opt for the words other than their own dialect; Pakk, sahkandan, seg, rakk, hatam, remlas, tauk, handag, chillag, taan are a few words of Rakhshani and Sulaimani dialects Shad bejewelled his poetry with. Initially, his language appeared somewhat alien and thus he was mocked and condemned for his linguistic engineering. Shad infused a new spirit in literature by introducing the free verse. However, it was not just a mere shift from one form to another but it also brought a string of themes and techniques hitherto untouched by poets. Symbolism, expressionism and surrealism are a few modes of expression Shad introduced to the world of poetic compositions. Like his linguistic innovation, here he too was greeted with scorn by contemporaries. But time proved his critics wrong. Poems like Shipaank (The Shepherd), Almaas (The Diamond), Dil greth o shap nareeth (Cries the heart and wails the night), Januzam (The Widow), Sahat nameeran inth (Time is eternal), and Firangi Zal (The White Lady) mark a new beginning in contemporary Balochi verse. In the 20th century, man faced an existential crisis. Haunted by two world wars and their consequences, he became a sombre picture of utter despair and helplessness. A wide chunk of literature all around the world composed in the 20th century emanates from the very crisis. It also left its mark on Shad’s work. He is the first ever modern poet to have pondered upon the absurdity of life, its fallout on man and society. His poem Wass ay Bewasí (Utter Helplessness) is the lamentation of a man haunted by a strong sense of alienation and meaninglessness. Keep them from doling out fragrance? Shad died on Feb 13, 1997 and buried in Quetta.